On Pinterest I kept seeing yarn snowflakes but I didn’t really give it much thought. That is until one evening when I realized just how much white yarn I had. I went online and printed a pattern and sat down to figure it out while I watched Freaks and Geeks (LOVE). Super stoked after I finished it up I ran and put it on a tree only have it be floppy and unattractive. Bring in some fabric stiffener and things change a bunch! 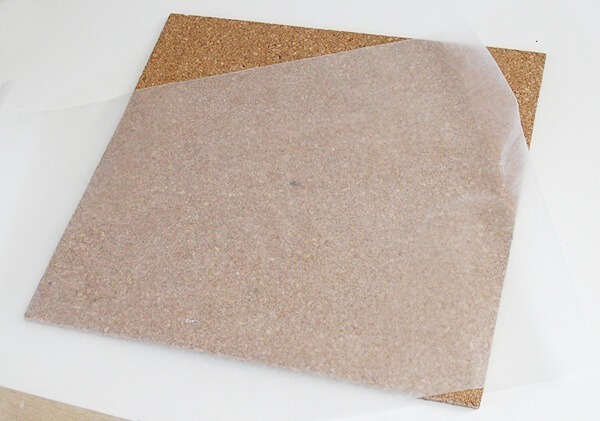 First prepare your work surface by laying a piece of wax paper over your cardboard or cork. Next thoroughly soak one snowflake at a time with the fabric stiffener. 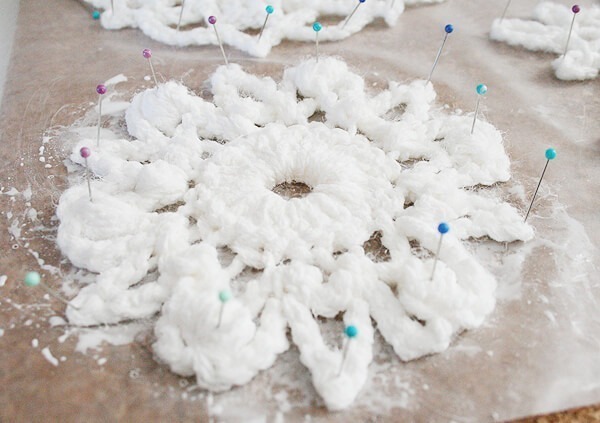 Using your straight pins, stretch the snowflake out to an attractive shape. Continue for all you have, or all you can fit on your work surface. I allowed mine to dry 12 hours and flipped over to finish up drying a few damp spots on the backside. And voila! Once you get the hang of a particular snowflake pattern you can bust them out really quickly. You’ll have your whole tree dolled up in no time! 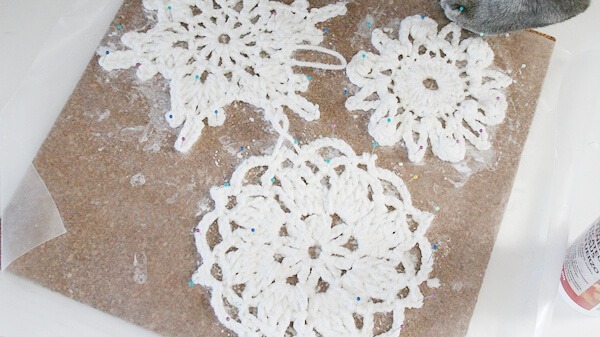 Need snowflake patterns to try out? 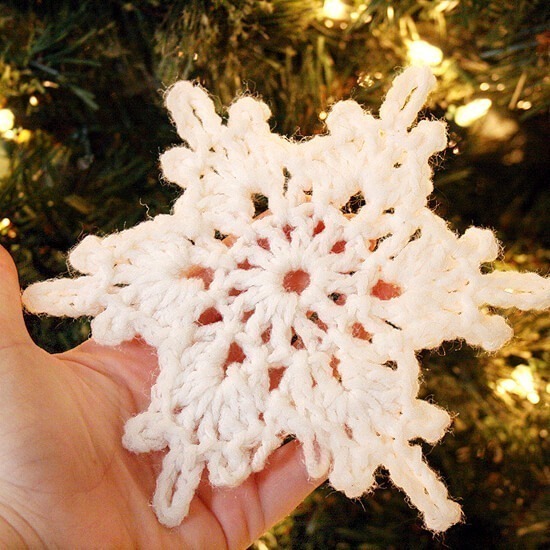 Try searching for ‘crochet snowflake pattern’ on Pinterest!